Would you like to experience the Florentine Renaissance on a very limited budget? Many hostels are located in the city center, so you can have the best of Florence while saving your precious Euros to better invest in restaurants, pubs, clubs or – why not? – city museums! 7 Santi Hostel is an antique convent built at the end of the 1800s, now completely renewed. 32 rooms with private bathrooms, 10 with sinks and showers, and 19 with shared bathrooms on the same floor, with a total of 160 beds. It is situated in the area of ‘Campo di Marte’ next to the church of the Sette Santi (Seven Saints) and is very close to the Florence Stadium (Stadio Franchi). Bus line n° 17, which stops at a few steps from our entrance, passes by frequently and takes you to the city center in 10 minutes. The short distance from Campo di Marte train station, makes it easy to reach the most important places in Tuscany at a good price. from the original frescoes painted in reception by local art students. The environment is warm and welcoming, and it is ideal for young people, families or small groups in the heart of historic Florence. Services available: bar and restaurant, free breakfast, personal lockers with keys, free internet, common room, TV room, telephones, open air terrace, garden, and laundry. Ostello Gallo d’Oro is located in the city centre of Florence, a 5 minute walk from the Duomo. They offer rooms with two, three, four, and five beds. You can book a private room or a dorm bed in a room shared with others. 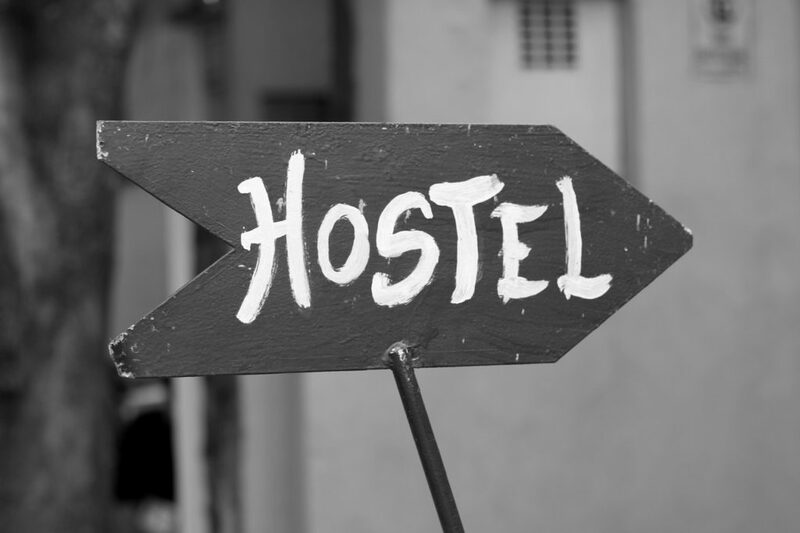 They are spacious and modern with all of the comforts that you may not find in other hostels, such as ensuite rooms with telephone and TV. Free internet access. WoW Florence Hostel welcomes you with open arms into their bright and colorful hostel right in the center of Florence. From this location, you can get everywhere by foot and rather quickly! Offering both dorm like shared rooms or private rooms at affordable prices, this isn’t a place to pass up if you want to pay a great price in a great location. Find a great continental breakfast buffet (served on the terrace when the weather is nice! ), free wifi for all of your devices throughout the hostel, access to washing machines & dryers among many other services. Equipped with all you need and more, including an indoor pool, sauna, restaurant & bar, rooftop terrace and options for group bookings/reservations. Here you will find yourself close to everything important that there is to see and do in the Florence city center. Dorm rooms, private rooms and female-only dorms are available. Expect to make friends here at this fun and youthful hostel. The hostel Villa Camerata is a gorgeous 15th century villa decorated with stucco and frescoes and equipped with all modern comforts, surrounded by a huge park, away from the noise of the town but very close to the city center that can be easily reached by bus. Services include: bar with sitting area in the garden, laundry service, free safe for valuables, free movie every night, satellite TV, internet point (1 euro per hour) and FREE WI-FI, table tennis, table soccer, city bus and city sightseeing tickets on sale, bookings for other hostels and tours of Florence and Tuscany, camping, and free car and bus parking. With a breathtaking view of Florence below, the Antico Spedale del Bigallo is a medieval 13th century building, which lies on a hill 5 km. SE of the city. Open from the 1st of April to 30th September (also in other periods for groups). Chianti Youth Hostel has been recently renovated and can host up to 82 persons in double rooms, four and six bedded rooms with or without bathroom ensuite. It features a large garden, a dining room and restaurant and a large private car-park.Moreover Ostello del Chianti in Tavarnelle val di Pesa is well connected by bus to and from Florence and Siena, with departures every hour. Six kilometres from the hostel there is a sports center with swimming pool and tennis courts; right beside the hostel there is a park with a rink for roller-skating and a children’s playground. There are beautiful hiking paths nearby, and it is also possible to rent bicycles and horses.